CED conducted an awareness raising programme for the disable group in June 2018. 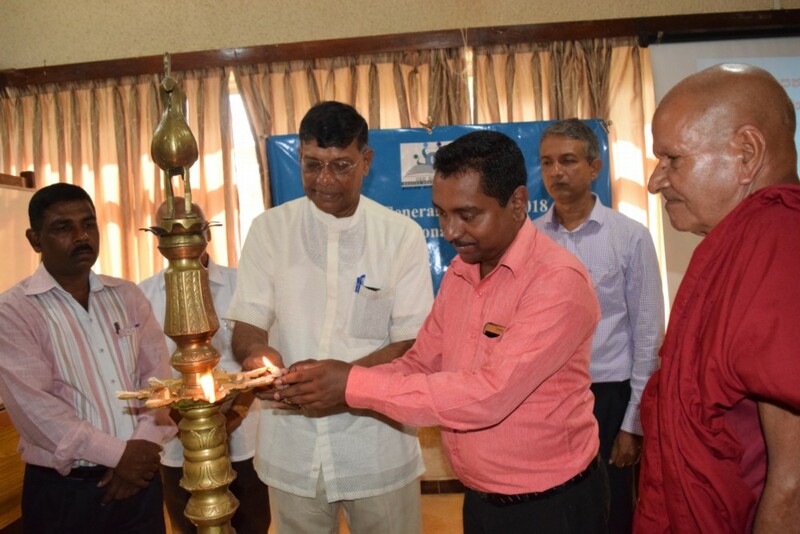 This programme was held in Anuradhapura and a total number of 40 participants who are differently abled participated to this awareness programme. This programme was organized by Sahana Association for disabled a member organization of CED. In this training programme Special attention was paid to introduce and make them understand about the special arrangement provided under SDG framework to ensure rights of the disabled people. According to the participants, most of the instances they were invited to participate for the health and livelihood sector programmes . 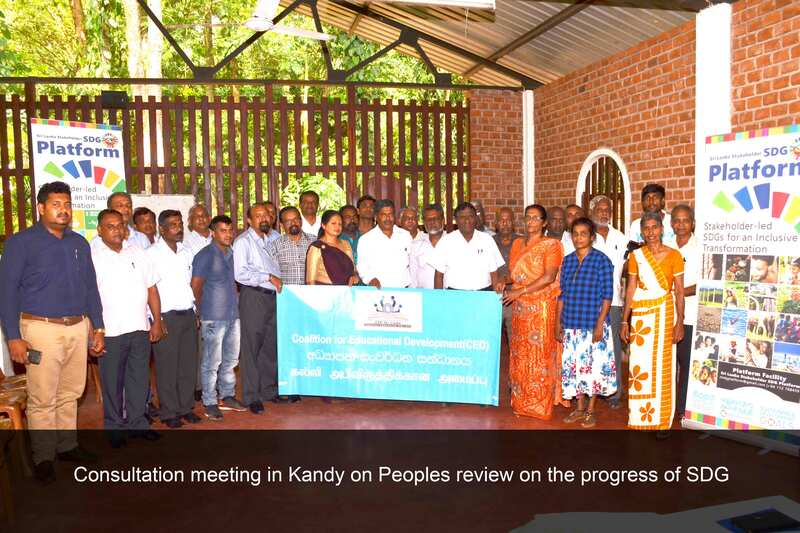 However, this is the first time that they were invited participate in a development context development approaches. In order to better understanding same training was conducted in two days One day for the blind people and the other day for the deaf and people with other disabilities. Most of the people think that once they complete the formal education they have completed their education. However, In this rapidly changing world in order to function effectively in day-to-day life we need to learn new things to live a fruitful life. In this aspect learning is a continuous process. Life-long learning is also connected to employability, passions and life satisfaction. In addition life-long learning help to build social awareness and relationships. This is critical not only to the health of individual relationships, but also the health of society as we in the era that need to develop peaceful society in order to enjoy the benefit of the development to the entire society. 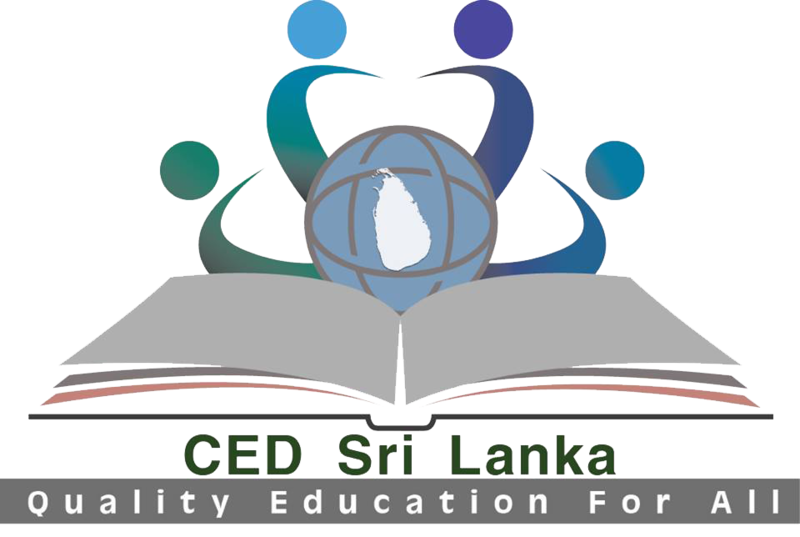 Therefore to bridge the gap CED has planned to compile a resource pack to emphasize the importance of lifelong learning. This resource would consist of concept and theories of the lifelong learning and it will also guide the education actors the necessary actions that to be taken by them in order to promote lifelong learning. It will also serve as an advocacy tool for civil society actors. Providing quality preschool is an important factor in achieving SDG 4 – Ensuring quality education and life-long learning opportunity for all. Coalition for Educational Development conducted 2 days training program on ELDS (Early Learning Development Standards) for selected pre-School teachers. These teachers were nominated by CED member organization who involved in ECCD sector. Early childhood development which commences at conception and continues up to five years is the most crucial developmental phase of life. To develop a fully-fledged adult life, development in various domains needs to be stimulated during this period. Therefore it is important to develop and guide the child utilizing the precise methods and approaches. 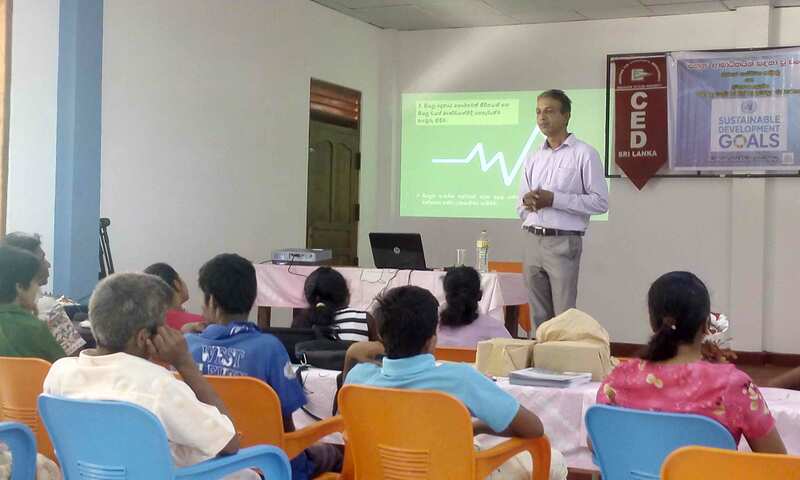 In Sri Lanka, most of the preschools are operated by the private sector actors and some of them are operated by local governance authorities. Although children secretariat has introduced ELDS standards recently, It is observed that these standards are not adequately followed by the most of preschools. One of the main reasons for this situation is lack of training opportunities for the pre-school teachers especially in the remote areas. Objective of this awareness program is to improve the understanding of early learning development standers for pre-school teachers. 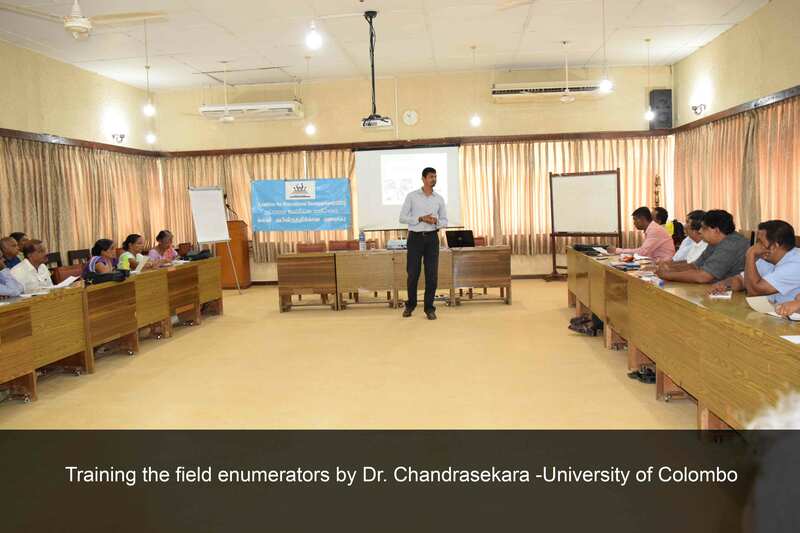 This program was held on 07th and 8th of April in Colombo. 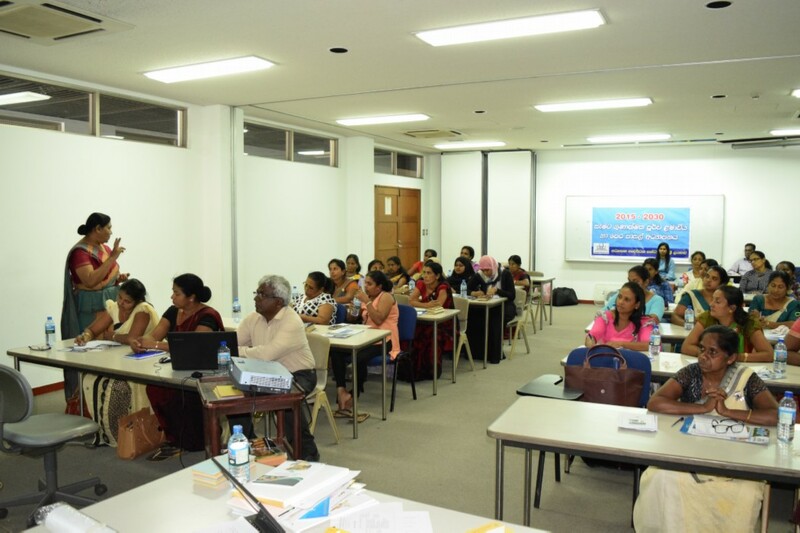 Dr. Indrani Thalagala, former head of the ECCD, Department of Open University Sri Lanka and Asoka Pandithasekara Former primary education director- Ministry of Education facilitated the training program. This event provided a good opportunity to interact with senior academics and clarify their issues problems related to field. 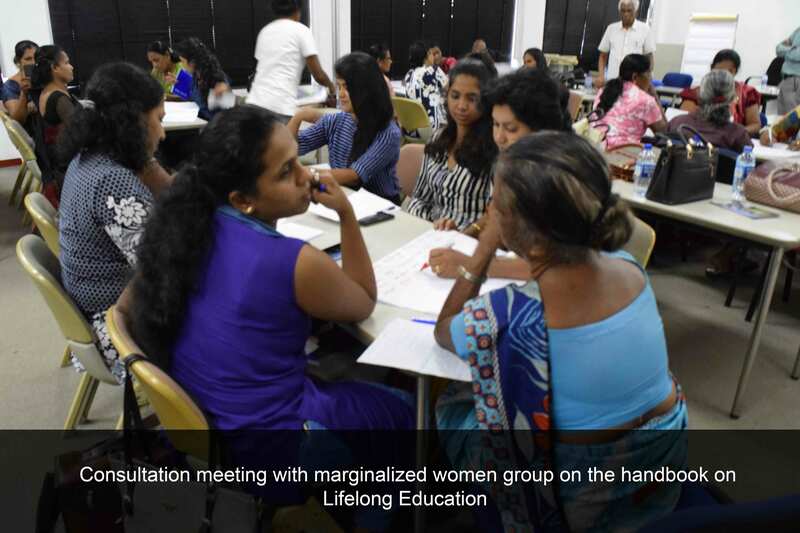 A total number of 30 pre-school teachers representing 20 districts participated to this event. CED expect that these trainees will be actively involved in sharing the knowledge with their colleagues. 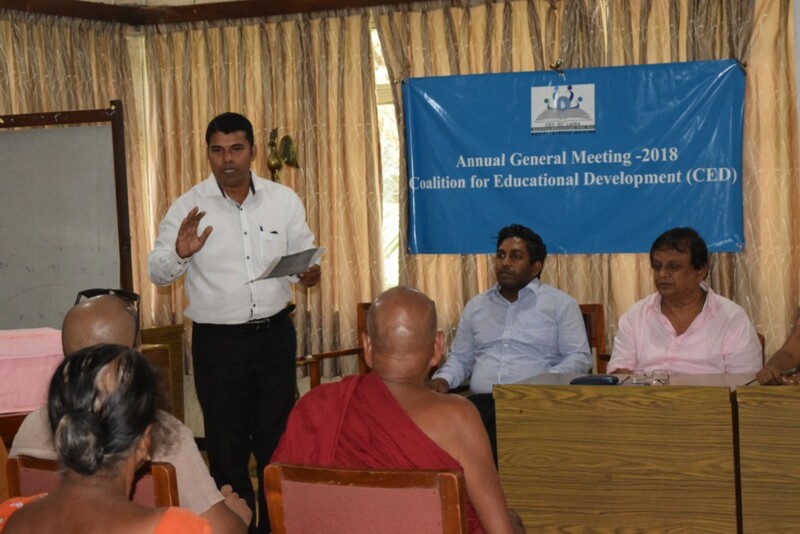 The Annual General Meeting of the Coalition for Educational Development was held on Sunday 25<sup>th</sup> of March 2017 at the Ecumenical Institute for Study &amp; Dialogue in Colombo with the participation of the 49 Member Organizations who involved in the education sector at provincial and local level in Sri Lanka. 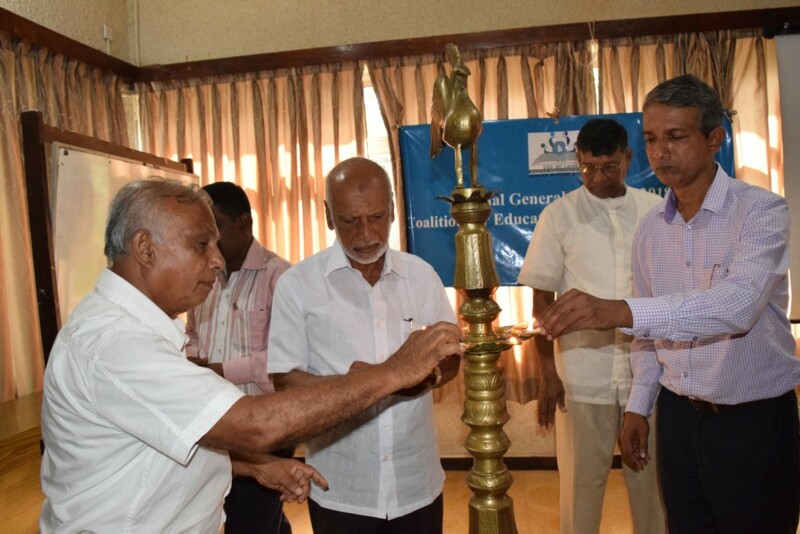 Formalities of the Annual General Meeting were started after lighting traditional oil lamp by the Executive committee members of Coalition for Educational Development and other guest. 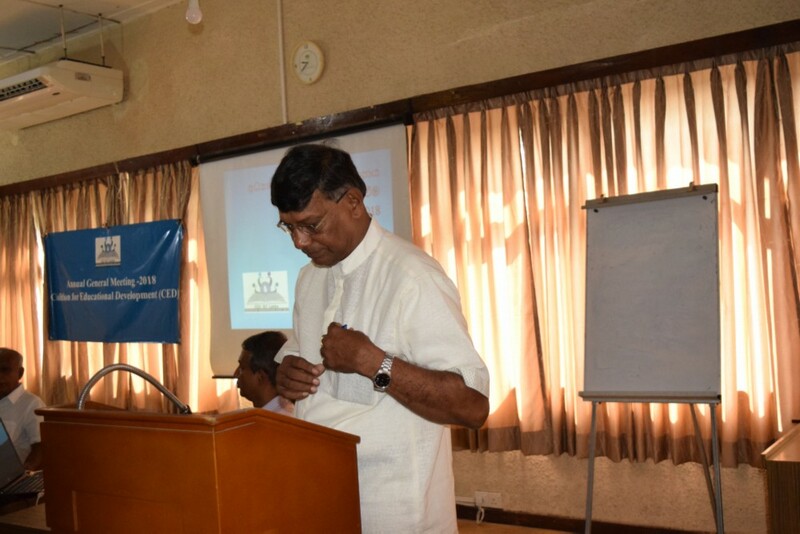 Chairman, Mr. K.D Peiris welcomed the gathering and he presented the Annual report, highlighting the works completed during the year. 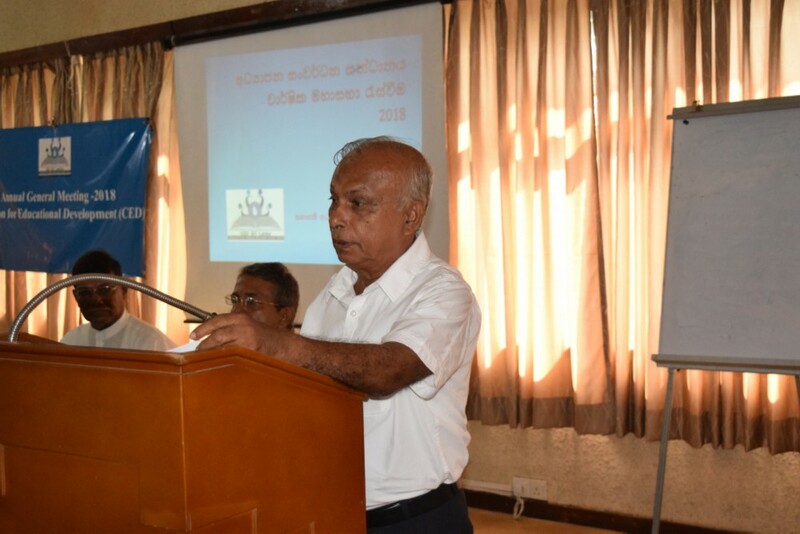 It was followed by the reading of the minutes of the last AGM by the Secretary, Mr. W.W. Wijewantha Wellala as well as the treasurer, Mr. Chaminda Piyasekara presented the finance report of the last year. 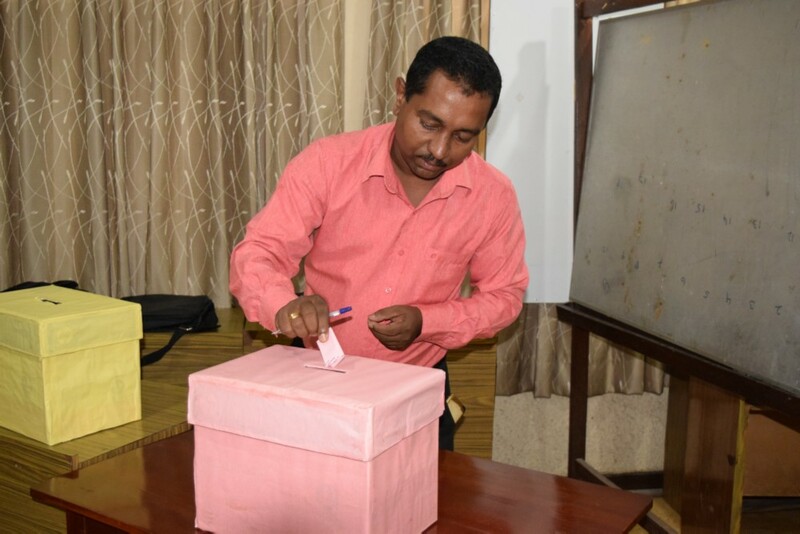 The second session of the day was allocated to the appointing of new executive committee for the year 2018/ 2020 and the election was successfully held with the help of PAFFREL (People’s action for Free and Fair Election. 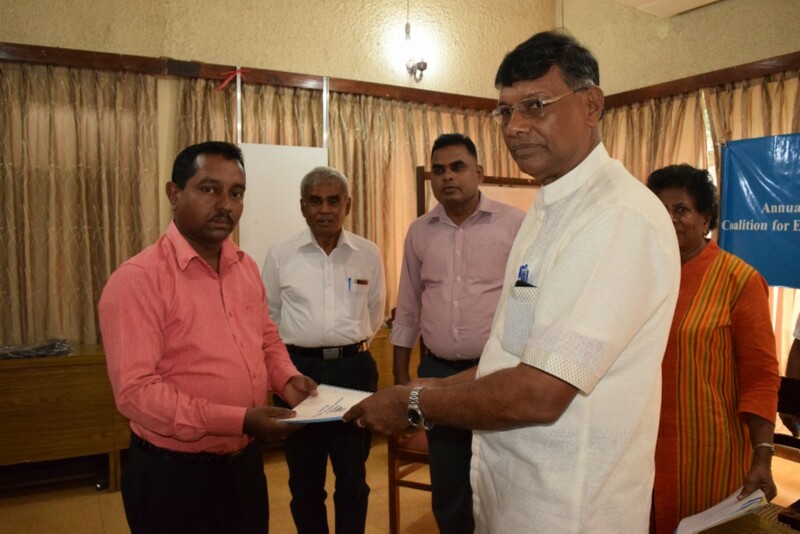 Mr. Chandana Bandara was appointed as a new chairman and Mr. W.W. wellala and Mr. Chaminda Piyasekara will continue in their current role as the general secretary and the treasurer. The AGM came to a conclusion with vote of thanks given by the general Secretary Mr. W. W Wellala. He thanks all those who attended the AGM and congratulated for the newly appointed executive committee for the 2018/ 2020. It was the very successful Annual General Meeting and we look forward support and participation in the coming year at our all events and project.